New electronic cigarette NOVA has a unique design, is light (42 grams), has protective cover for cartridge, LCD screen that shows battery level and number of "puffs" consumed. On both sides of the cartomizer it has one transparent window that allows viewing of liquid level. The 650 mAh battery can provide up to 500 "puffs". When the battery begins to discharge the LED will flash 15 times in a row, indicating that it must be recharged. Another thing that shows you the innovative design of NOVA cigarette is that at the opposite end of the cartomizer (on the battery) it has a transparent star through wich the light comes out. 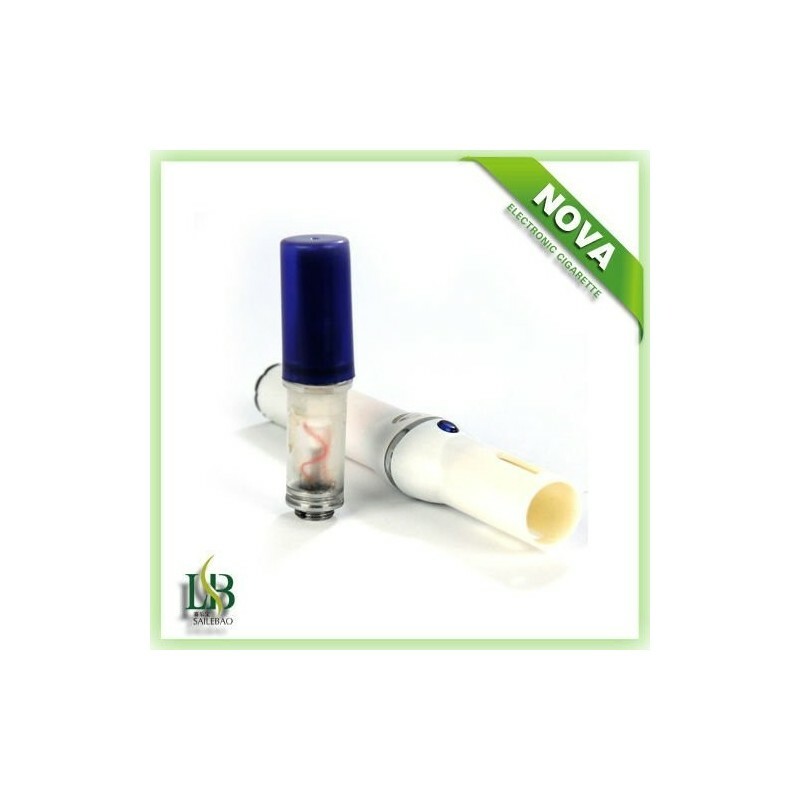 - An empty bottle with dropper specially for NOVA catomizer recharge. The NOVA is one of the most recent innovations Sailebao performance. Other features NOVA stands is that the LCD displays performed inhalations and and inhalation remaining in the battery drain. It features a star-shaped light at the end of battery that activates when inhaled. Generates a considerable amount of vapours. With fully charged battery the cartomizer produces approx. 500 "puffs"
Nova cartomizer produces a considerable amount of vapors. Compatible only with Nova battery from Sailebao.